Despite his low overall approval rating, Americans are giving President Trump high grades on the performance of the economy, according to a recent story in The Wall St. Journal. The unemployment rate remains at a 17-year low and hiring has been strong, according to the latest Jobs Report. At the same time, the Dow Jones and S&P 500 have set new all-time highs during 2017. On November 30, the Dow Jones Industrial Average crossed the 24,000 threshold for the first time, while the S&P 500 ended the day at 2,647.58, also a new record. His success as a businessman was Trump’s primary credential in running for the White House in November 2016. Despite all the controversial tweets and statements, international turmoil, and drama that seems to emit from the Oval Office on a daily basis, the economy is doing well. The 2020 election is a long way off, and Democrats surely will be gunning for him, but we can all expect Donald Trump to highlight his performance in handling the economy if he does indeed run for reelection. A strong economy raises consumer confidence and, accordingly, business optimism. Small business owners have looked forward to the President’s $1.4 trillion tax overhaul bill, and the continued solid economic numbers entices them to invest in their firms. Meanwhile, Trump has overseen an atmosphere of lessened regulation for the banking industry. This fact encourages banks to make more loans. Rising interest rates from the Federal Reserve have also helped boost small business lending this year. The central bank has raised interest rates four times in two years. Higher rates mean more money for the banks on the loans that they issue. Small business lending in 2008-09 stalled terribly during the Great Recession and the ensuing credit crunch spurred by the Great Recession. 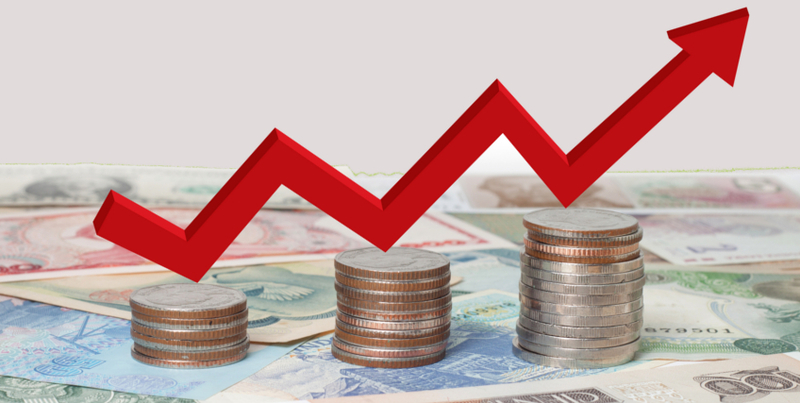 Eventually, interest rates dropped to historically low levels for many months in an effort to encourage small businesses to borrow and invest in their companies. Slowly and continually, banks opened up the spigots – especially as interest rates climbed upwards. The Biz2Credit Small Business Lending Index™ for November 2017 found that small business loan approval percentages rose among all the categories of lenders that the study examines: big banks ($10 billion or more in assets), regional and community banks, institutional lenders, alternative lenders, and credit unions. Big banks approved 25.1 percent of funding requests in November, a new record. 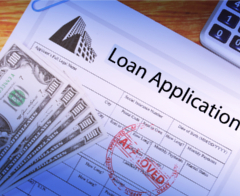 Institutional investors approved 64.1 percent of the loan applications they received. These are new benchmarks for the monthly study of loan requests. Small banks are currently approving 49 percent of the applications for small business financing that they get. Many of the loans processed by smaller banks are U.S. Small Business Administration SBA loans, which help startup businesses and companies with little credit history or bad credit history. The SBA is a federal agency that provides loan guarantee programs and other services to support and encourage the growth and development of small companies in the United States. Since its founding in 1953, the agency has arranged more than 20 million loans that include government guarantees that are provided to partner lending institutions. The way it works is that the SBA guarantees a portion of the loan and thereby shields a financial institution from incurring losses. This arrangement makes it easier for lenders to offer financing to small businesses that may fall into higher risk categories, such as restaurants. Many times, these businesses are not in a strong enough financial position to obtain traditional bank small business loans. The SBA guarantee mitigates risk and thus encourages small business lending. Additionally, SBA lending programs require lower down payments and offer longer term financing, which can really help businesses that are just starting out or that are looking to expand. Sometimes, however, SBA loans simply help them to manage their cash flow better. The beauty of this from the borrower’s perspective is that it allows entrepreneurs to focus on building the success of their operations rather than to become distracted by debt repayment. SBA loans can be used for a wide variety of purposes, including starting a business, securing working capital, debt refinancing, equipment purchases, improvements and renovations, and much more. Big banks, regional banks, and community banks process a large number of SBA-backed loans on an annual basis, and the numbers keep going up. Although alternative (non-bank) lenders performed a key role in providing funding to small businesses during the credit crunch when traditional lenders stopped making loans, they provided money that came with a high cost of capital. Alternative lenders charged interest rates of 20 to 30 percent. Thus, they took advantage of the market niche that consisted of small business borrowers who needed loans while the banks hunkered down. Borrowers had little choice but to accept the funding at high rates. Now, because traditional banks and institutional investors are strongly in the game, small business borrowers are no longer desperate and look for loans that come with lower interest rates. In the past, companies with bad credit histories had few options because lenders weren’t willing to take a chance on them. That is not the case today. Small business owners today are better able to secure financing. With a strong economy as we enter 2018, I believe more and more entrepreneurs will launch businesses and expand existing ones. The holiday shopping season started well, consumers have shown a willingness to spend, and small business owners are feeling good. When President Trump’s nominee for Federal Reserve chair, Jerome H. Powell, takes over in February after Janet Yellen’s departure, I expect small business lending to continue to prosper in 2018 for both small business lenders and borrowers.